There is no victory so pointedly sweet – or defeat so nards-crushingly cruel – as that encountered on a ping-pong table. Something about the unbearable lightness of the game. You have not experienced the full range of humanity until you’ve seen a grown man slam a one-oz. ball across a table and release a thunderous, Ric Flair-ian yawp. Well, whatever: it’s fun, so welcome to Killerspin House, Chicago’s very own primo table tennis facility, now open in Downtown. This is Killerspin’s flagship joint. They make world-class ping-pong equipment for pros, and will be the first to tell you about the benefits of UnPlugNPlay. 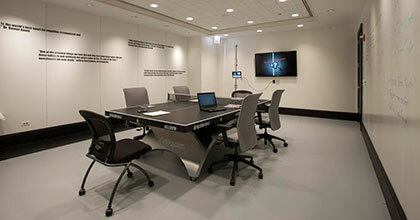 Spoiler alert: ping-pong makes you productive. And more creative. A $60 monthly “Visa” gives you access to top-tier equipment and unlimited play, with a +1 once a week. Or you can just zen out and practice your stroke with the Killerspin Throw Robot, which can serve up to 105 balls per minute. Got an off-site? 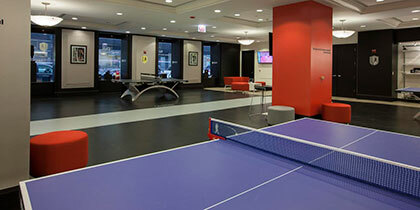 Killerspin House is built for corporate events, and can be rented out for up to 200 guests. Just a small gathering? Rent a private room. Now get out of here. It’s break time.